Pirate CDs - bad for business! In today’s society everything is done by internet: Emails whizz from company to client, children do their homework via the web, people illegally download music and video from the internet… This last, the pirating of music and film, is becoming an ever-growing problem in our technological world. 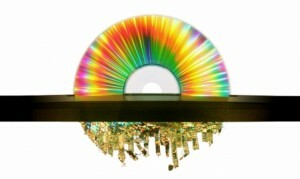 But it doesn’t just occur on the internet: Pirated discs can be bought as well! 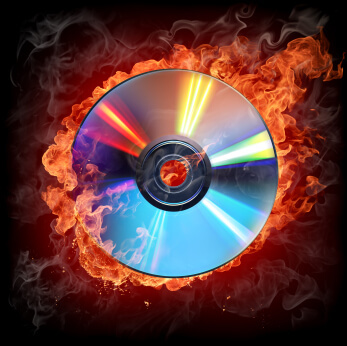 But what effect is this having on our music and film industries and is it such a big problem that we need to worry about its effect on the CD and DVD manufacturing world? The answer, unfortunately, is yes! We do need to worry about it: The music and film industry is an expensive business to run: With hiring actors and musicians, studio fees, pre- and post-production costs, disc duplication, advertising and distribution of the product there is a lot of money being sunk into making the product in the first place. There is a delicate balance between the money being sunk into films and music and the money being made from these to produce more films and music and if we as the public begin to pirate the products, there will not be enough money going into the cycle to make CD and DVD manufacturing continue. Of course occasionally you get a film such as Lord of the Rings or Titanic which makes an absolute mint but for the most part films just about make back what was spent on them in the first place, if not even making a loss. The same can be said about music: Michael Jackson and Madonna may be incredibly wealthy but there are literally thousands of bands who every year scrape by. Is it really fair to pirate the work of these people? Piracy has become a serious offence in many countries now, with the media recording cases of suing up to and over £60,000 pounds – a lot of money in anyone’s books! And yet it is still happening: Loop-holes are being found or people are simply taking the risk so that they can save money in the short term. But the effect this is having on our music and film industries is palpable and soon the cycle of money going in and out could get so broken that both industries will collapse entirely and there will be no more CD or DVD manufacturing! So what can we do to help? Well, the answer is simple: Don’t use pirated goods! Don’t download illegally off the internet! Whether you use pirated goods or simply buy them, you are still enjoying the same product (nearly always at a higher quality if you buy it, as well!) So why not support the industries so that they can produce more music and film while you’re at it? Get a higher quality product and keep film and music alive by buying legitimately rather than pirating! You are currently browsing the Duplication Centre Resource Centre blog archives for August, 2017.